Welcome, Brad! And Thanks, Brad for creating the rule. Say, has anyone heard from Brad lately? Shouldn't Brad be introducing himself in the proper thread? MODS!!! Welcome Brad! Used to live in OC several years ago. Miss it a little. And while the Vikings haven’t been told whether or not they’ll be able to utilize their typical gameday production elements, the NFL’s focus on equity means use of normal home-game features — the Gjallarhorn, the fire-breathing dragon ship during player introductions, the exhortations for fans to send decibel levels soaring on opposing offense’s third downs — likely would be limited, if available at all. From the way-back machine, my sister went to high school in Apple Valley Minnesota with a girl who I think ended up as a Vikings cheerleader (in the 1980's) with the last name of Zylstra (it can't be that common). That girl would be old enough to be Brandon's mother, of course. I was struck by the coincidence and the Minnesota connection. Anyone have any way of checking that out? Wouldn't it be cool if someone could make a mobile app that could coordinate a stadium (and maybe beyond) in a Skol Chant? Maybe something that sets up a coordinated stomp stomp to replicate the drum, and setting up the timing for the V-clap and Skol chant. Make that stadium our home, whether the NFL likes it or not? Someone out there good with coding? I have been wondering who would be announcing the super bowl, Alan Roach? He is a professional and I'm sure he would announce the game with similar amounts of excitement for both sides, but a little extra excitement for the Vikings could tip the scale slightly more in their favor in their home stadium.... (assuming we make it to the SB). Last edited by Grashopa on Thu Jan 04, 2018 10:09 am, edited 1 time in total. Grashopa wrote: I have been wondering who would be announcing the super bowl, Alan Roach? He is a professional and I'm sure would announce the game with similar amounts of excitement for both sides, but a little extra excitement could tip the scale slightly more in their favor in their home stadium.... (assuming we make it to the SB). Do they allow participant team's local media into the SB? At least that might allow for a "homer" audio feed! 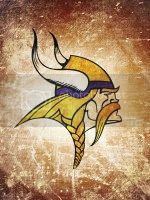 John_Viveiros wrote: From the way-back machine, my sister went to high school in Apple Valley Minnesota with a girl who I think ended up as a Vikings cheerleader (in the 1980's) with the last name of Zylstra (it can't be that common). That girl would be old enough to be Brandon's mother, of course. I was struck by the coincidence and the Minnesota connection. Anyone have any way of checking that out? Zylstra was born in Spicer, Minnesota, and played his high school football at New London-Spicer High School. From there went on to play college football at Concordia-Moorhead. PsyDanny wrote: Wouldn't it be cool if someone could make a mobile app that could coordinate a stadium (and maybe beyond) in a Skol Chant? Maybe something that sets up a coordinated stomp stomp to replicate the drum, and setting up the timing for the V-clap and Skol chant. Cool idea, but I don't think it's necessary. The Vikings fans have been able to get Skol chants going at away games, without aid from tech. I imagine it won't be an issue in our own stadium either. Ohjay wrote: Cool idea, but I don't think it's necessary. Have they gotten skol chants going in entire away stadiums, or just sections (such as Case leading on as he departed the field at Lameblow)? I am thinking something that would like the entire stadium so it comes off as something similar to when it is lead off by the big drum? Just thinking something like that might be cool, and could subvert the "NFL ownership" of the Superbowl game day experience. Make sure everyone knows it is our house through and through. Last edited by Brad H on Thu Jan 04, 2018 7:00 pm, edited 1 time in total. 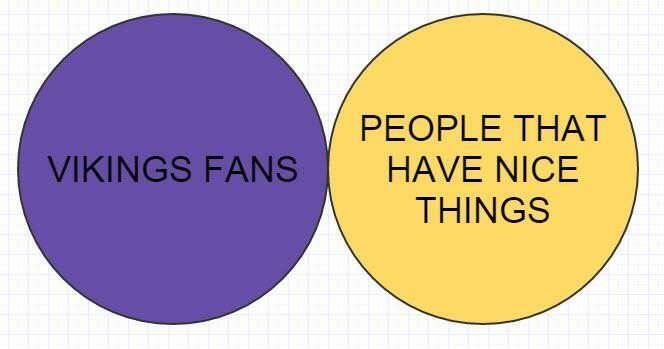 PsyDanny wrote: Have they gotten skol chants going in entire away stadiums, or just sections (such as Case leading on as he departed the field at Lameblow)? I thought there was another one in Green Bay that wasn't led by Case but I could be wrong. dead_poet wrote: I thought there was another one in Green Bay that wasn't led by Case but I could be wrong. There was, it was in the third quarter but relatively weak. The two big ones that come to mind for me were at Atlanta and at Detroit. I’m sure there were others as well, but those two were the ones I recall being able to hear over the broadcast. Them Packer fans wasn't very happy... first we wouldn't let them score in their own stadium. And then we started the Skol chant. The glimpses I've seen from broadcasts and media coverage has pointed to that it's entire stadiums.